The winds were blowing freezing rain, covering him and the bike. He had taken off his iced-over goggles, leaving his eyes exposed to the elements. 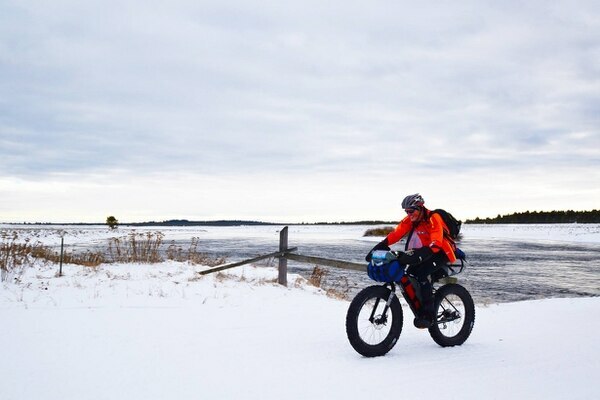 “Cool” may not be everyone’s first word choice to describe this experience, but for Sweeney, it was his favorite part of a three-day, 200-mile winter bike race that covered portions of the Greater Yellowstone Ecosystem. The longest of three races that make up the Jay P’s Fat Pursuit event, Sweeney was one of 25 entrants and 20 finishers, taking 13th place with a time of 51 hours, 15 minutes. It was the first winter bike race for Sweeney, the Bioenvironmental Engineering Element Chief at Buckley Air Force Base, Colorado. 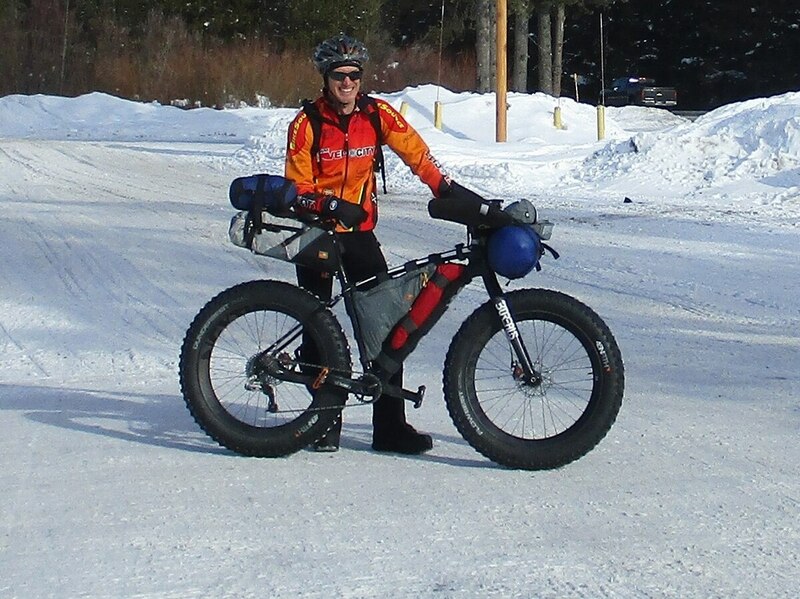 He didn’t even own a winter bike, but he did bring extensive backpacking and biking experience. In 2013, he biked 700 miles of the Tour Divide Race in six days. The 2,800-mile course stretches from the U.S.-Mexico border into southwestern Canada, but he had to stop when his bike failed him in New Mexico. Sweeney, who plans on retiring in the fall of 2019 to race full time, also bikes to and from work, about 46 miles round trip, three or four days a week. The other days he takes it easy, only biking a total of 20 miles and riding the light rail part of the way. “My goal is to only drive once a month [to work],” he said, including the winter months. Jay Petervary, an endurance biker who once held the record for fastest completion time of Alaska’s 1,000-mile Iditarod Trail Invitational, founded the Fat Pursuit event in 2014 and added the 200-mile race in 2016. Sweeney said he considered tackling the 200-miler about four or five months ago; he emailed Petervary, who approved of the winter travel experience he had backpacking. “I told him, my goals of the race are: No. 1, to live. No. 2, to not have to get rescued, and No. 3, to finish,” Sweeney said, laughing. He succeeded on all accounts. Only 34 racers have finished the 200-mile event in its history; only one finished in 2017. Those statistics weighed on his mind heavily at the starting line Jan. 5. But he had a plan: Ride as long as he could on the first day, rest for four hours, ride as long as he could on Day 2, rest for four hours, and so on. He started off slowly, to conserve energy and to stay out of the way of the faster racers. At times it was fun, like when the first rest stop had ice cream waiting. Other times, it was downright scary. Sweeney said he miscalculated the time it would take to reach the first checkpoint, leaving him on the road longer than expected. Even better was his post-race shower, and dinner with his wife at the race headquarters. “I think I had pizza. It was so good,” he said, thinking back to the energy bars and freeze-dried meals he relied on for over two days. One plan: Revisiting the Tour Divide and finishing the 2,100 miles he missed the first time.